Things might get rough, they might even get a little messy, but I was okay with rough and messy as long as I could shut the lid on this dirty case. Meet Jack Lime, private investigator, who solves problems for his fellow Iona High students. Sometimes he falls for the dames who hire him, sometimes he falls in the river and sometimes he falls asleep (he's narcoleptic). 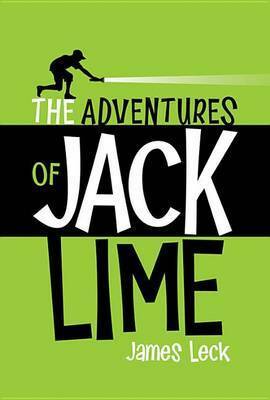 But rest assured that whether he's tracking down a missing banana-seat bike or a kidnapped hamster, or cracking open a trivia tournament betting ring, Lime will follow every lead. Readers will identify with this funny, cynical sleuth who has the makings of a top-notch PI, though his personal life frequently goes awry. In these three stand-alone detective stories, readers will immerse themselves in an offbeat fictional world populated with eccentric characters where everything is not as it seems.